The upgrade was given the green light at the Gosnells ordinary council meeting on March 8. The City will enter a partnership with the club, Hockey WA and the City of Cockburn. Not only will there be a synthetic turf at Sutherlands Park, there will also be floodlights, fencing and irrigation and a power upgrade for the site. The club currently has to spend $25,000 a year hiring synthetic turfs – such as the pitch in Bentley – for their top grade clubs to play. Club president John Heath said it was a major move for the club in terms of making more money and retaining top players as the top players were always looking to play on turf. “We lose a lot of top line juniors to other clubs who have turf, so it is actually retention of players,” he said. The City of Cockburn will also be building similar facilities in South Lake to accommodate the Fremantle Hockey Club, and new facilities will also be built at Hockey WA’s base in Bentley, along with new changerooms and spectator areas. 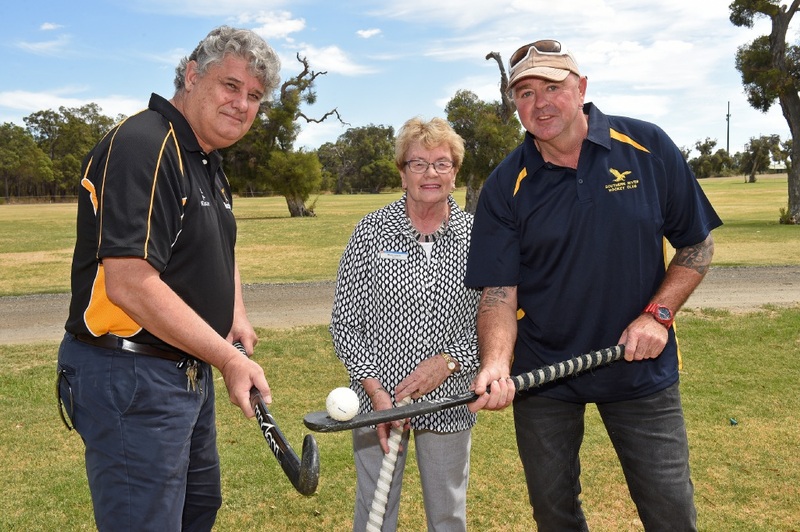 Hockey WA president Peter Churack said there were hockey clubs which did not have the facilities in the south and eastern suburbs and could use Sutherlands Park. “The sport itself is transitioning from grass to turf,” he said. Equestrian activities at Sutherlands were relocated to Orange Grove in 2014 and since then the Southern River Hockey Club has been lobbying the City for a new synthetic surface at Sutherlands Park. Gosnells Mayor Olwen Searle said construction could start as early as May next year. “For a growing hockey club there is a need to provide quality infrastructure to retain a competitive edge,” she said.